If you are a fan of Kodi, then you must be knowing that developers are working to bring the version 18 code named as Leia for it. Good news is that an Alpha 2 construct for the same is out. Kodi is well known for being a medium to play media on Xbox consoles and is currently one of the largest media centers which is supported on multiple platforms. This Alpha 2 version of Kodi comes after three months since the first Alpha version was released. This means that the development team is quite keen to launch the Beta version soon and is working at a furious pace to make the rough edges smoother. News is that the Beta version will be released for iOS and Android users first. Also check: How-To Install Delta Lite NES Emulator for iPhone/iPad . The development team has reported that the Alpha 2 release is comparatively stable and smooth relative to Alpha 1 version. However, if you wish to install the Alpha 2 version, be prepared to face some errors or bugs. You can get the download links of the same, according to your operating system, from the official website of Kodi. Please click here to go directly to the download page. The music library will be made much more simplified as the users complained about the complexity of the user interface in earlier versions. Library will become more methodological and well constructed as embedded tags will be used instead of files. One of the biggest awaited feature is Live TV. Notion is that it will be released with front-end recording. However, please note that an external hardware and a server software will be needed, if you want to use the Live TV Feature of Kodi v18. Another great thing about the new version is that it will be available as a 32-bit Bridge application on the Windows Store. This means there will be no problems installing it on Windows as well as Xbox. If you own an Android TV, then you must know that developers have added Lean back search, so that you can check out content right from the main menu. If you are not a fan of using remote and want to control Kodi by voice; then you will be, definitely, happy to know that Google Assistant has been fully integrated in Kodi. New codecs and resolution support has been added to the video player. Developers have indicated that post release of Leia, they will be even adding support for 4K, 8K and HDR content. DRM protected content can’t be played on Kodi, as of now. But with the new release, you will just require an add-on to enable Kodi to play DRM protected content. Do see: How to Install Multiple Kodi Builds on Fire TV, FireStick & Android Box. These are only some of the major features that the final version of Kodi v18 Leia will possess. The features clearly indicate the awesomeness of the final version. Developers have taken note of all the issues and complaints raised by the users for the earlier version and fixed the same for Leia. 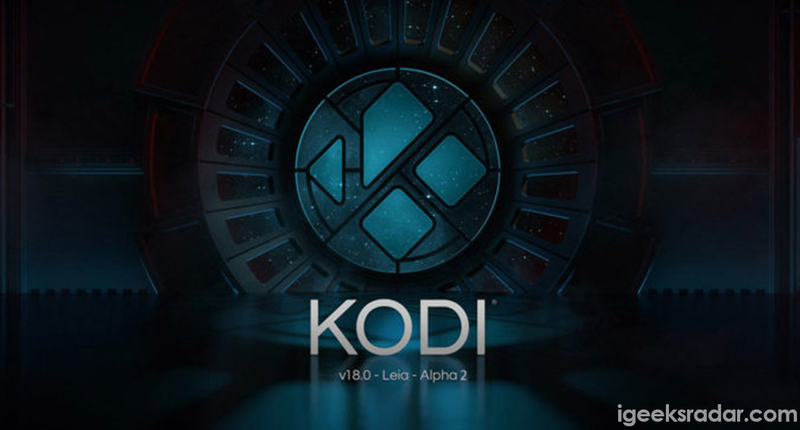 If you really can’t wait for the Beta build or the final version to be released, you can try your hands on the Alpha 2 version by navigating your way to the official website of Kodi. If you have any questions to ask please feel free to put them down in the comments section below. How To Install Kodi on iPhone/iPad [No Jailbreak, No PC, No xCode]. How to Download and Install Kodi V17.6 on iOS(iPhone/iPad) Released.